Virtual Private Networks allow us to protect our privacy and to ensure that our information is secure while we are browsing internet. You can remain anonymous online thanks to the possibility of changing your IP address and encrypting your data. If you want to avoid geo-location restrictions that prevent you from watching all the videos or TV series that you want, you can change your location and appear as if you are in the country where the content is available. This also means that you can access websites and services, even if they are not offered in your location. After the Edward Snowden revelations, people all over the world became aware of the threats that privacy is facing in today’s world and as a consequence, VPNs became even more popular as internet users understood the importance of protecting their right to privacy. There are many VPN options available and some of them are free. However, if you are looking for reliability, satisfactory speed and good performance, you would be better off choosing a paid service. Since customers these days have many options when it comes to VPN services, the companies are competing to offer a good solution that is also affordable. There are VPNs for any budget and needs and most companies offer the option of trying out their service before committing to a full subscription. This is an attractive feature that allows you to check first if a VPN is right for you. If you are happy, you can go ahead and pay for a plan. Otherwise, you have nothing to lose since you didn’t have to invest money. 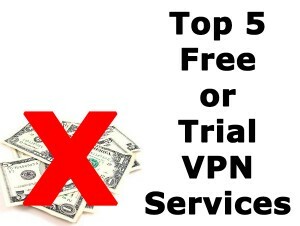 Free trials are quite convenient, particularly for users that have never tried a VPN service before and that want to understand exactly how it works and if it suits them. Keep in mind that some companies offer money back guarantees, which are considered by some as trials in which you pay money up – front. With a money back guarantee, you have to subscribe to a plan and pay, but if the service doesn’t suit you or does not work, you can get a refund within a specific period of time. CyberGhost offers a practical free VPN service that works really well and on top of that, when you download the software, you will be able to enjoy a 30 day free trial without paying upfront. The company offers a reliable service that is fast and that ensures that your anonymity is protected thanks to their no logging policy. CyberGhost’s recent Indiegogo campaign to establish the first NoSpyProxy database has been incredibly successful and exceeded its goal. Read Full Review. Kepard offers an easy to use service, good speeds and solid performance. The company has a 15 day free trial that enables users to try the service without paying upfront. Furthermore, Kepard gives its customers the chance of getting the premium plan for free for up to 6 months by inviting others to join the service. Read Full Review. Moldova-based provider CactusVPN offers a service that helps you to protect your anonymity while ensuring that you can access content even if it is blocked in your region. Their service has convenient features like Smart DNS and their speeds are also quite good. They offer a free trial that allows you to use their service for 24 hours, accessing all the features and servers that they offer. Read Full Review. Mullvad also offers users the option of testing their service before purchasing a plan. The free trial allows you to check if the speed and performance of the service suits you. You can connect to the client software and get an account automatically to try the service for three hours. Read Full Review.